Grevillea acanthifolia is a spreading shrub that may reach a height of three metres with a spread of four metres. Judicious pruning will keep plants to a more manageable height and width. Divided leaves are bright green, stiff, prickly and up to 12 centimetres long. 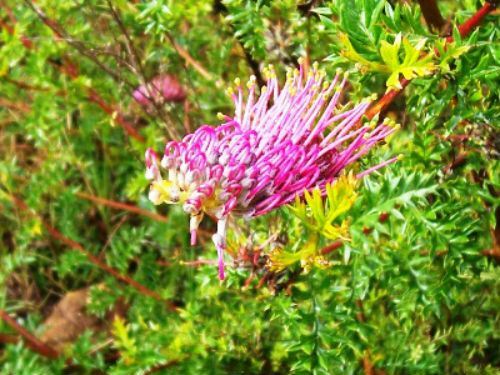 Grevillea acanthifolia carries pink, toothbrush-type flowers for most of the year. The blooms are up to ten centimetres long and rich in nectar. There are three subspecies. All are native to New South Wales. Grevillea acanthifolia subsp acanthifolia is the most commonly cultivated subspecies and has proved to be a hardy, free-flowering, bird-attracting shrub. This subspecies is common in the Blue Mountains, west of Sydney and is found in wet areas. In cultivation, the subspecies will survive and thrive in well-drained situations. Our description refers to this subspecies. G. acanthifolia subsp paludosa is found in the Southern Tablelands of New South Wales. G. acanthifolia subsp stenomera comes from the Northern Tablelands of New South Wales. G. acanthifolia subsp acanthifolia has very prickly foliage and perhaps should not be planted near paths. The type specimen was collected in the Blue Mountains during John Oxley’s first expedition in 1817. The species was named by Alan Cunningham in 1825. The thumbnail is the illustration of the type specimen. 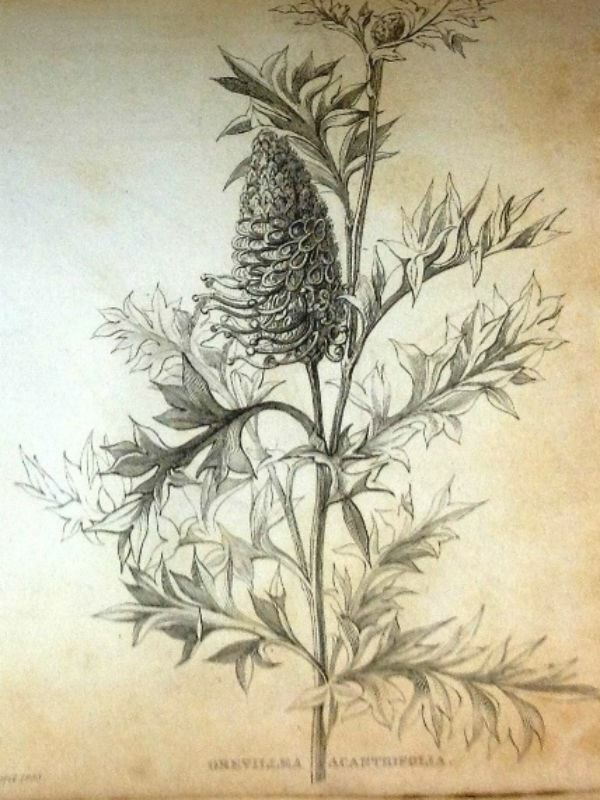 There is a record of Grevillea acanthifolia subsp acanthifolia in cultivation in a London nursery in 1893.